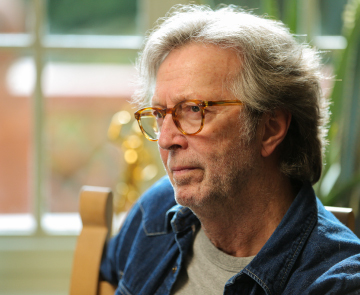 The hit songs of musician Eric Clapton will be offered at auction by Bonhams at the Entertainment Memorabilia sale at Bonhams Knightsbridge on Wednesday, June 29 2016. These certificates were presented to Clapton from BMI (Broadcast Music Inc.), and include a certificate of achievement for more than eight million broadcast performances of ‘Layla’, and a further certificate for eight million performances of ‘Wonderful Tonight.’ Each is estimated at £2,000-3,000 (US $2,671 to $4,007). Layla initially launched to limited success, but the song later achieved critical acclaim, joining Rolling Stone’s list of “The 500 Greatest Songs of All Time.” The acoustic version later won the 1993 Grammy Award for Best Rock Song. The Crossroads Centre, founded by Clapton in 1998, offers the highest caliber of care for the treatment of drug and alcohol addiction. It’s location in Antigua allows clients to enjoy complete privacy and the healing properties of the island. Future auctions offered by Eric Clapton to benefit The Crossroads Centre Antigua will be held by Bonhams in the following times/locations: New York on November 21, in London on June 29, and December 15, and in LA on March 22 (times subject to change).